Before “fake news” was a catch-all term wielded by the right to cudgel anything they disagreed with, it was a literal term to describe actual, poorly produced articles masquerading as fact. In the realm of science—where widespread misinformation can have disastrous, global consequences—the issue is even more serious. Luckily, as reported by Motherboard, one scientist out there has discovered a way to combat this irresponsible nonsense, and they’re doing it with a little help from Adult Swim’s Rick And Morty. Farooq Ali Khan is an undergraduate professor and PhD student from Hyderabad, India who recently submitted an article to 14 scientific journals that are known to be suspect. Not only do these journals regularly publish un-researched junk science, but they will often require authors to pay for the privilege. 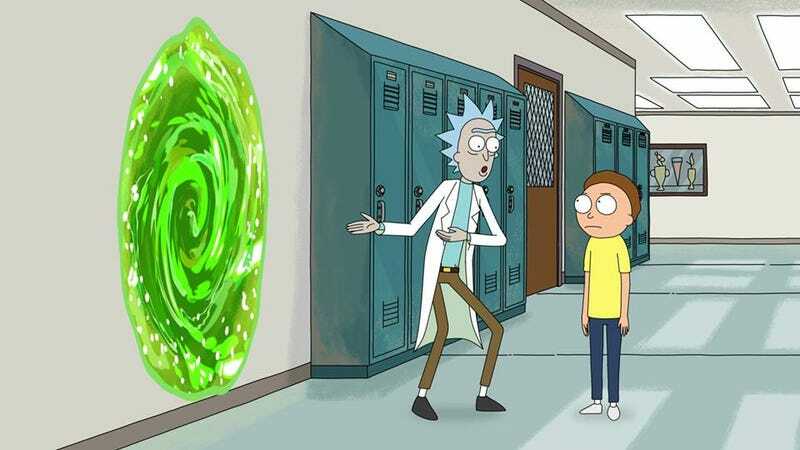 The paper Ali Khan submitted offered concrete solutions to the issue of intergalactic parasites in the “Zygirion simulation.” This is, of course, not a real issue, and is in fact a reference to a number of Rick And Morty episodes. Here’s the abstract and introduction from the article, which fans of the show will recognize is not-so-subtly littered with other references, in-jokes, and even a shoutout for the nation of Wakanda, for some reason. Despite the absurdity on display in Ali Khan’s article, three of the fourteen journals published the paper without question. Five more agreed to publish it only after they received payment. Disturbingly, only one of the journals took the time to have the article peer reviewed, something which should be a common practice for any scientific journal. These types of pop-culture-inspired pranks, known as “stings,” have been performed in the past and often act as warning signals to the scientific community that certain journals are not to be trusted. Last year, pseudonymous science blogger Neuroskeptic submitted a paper on “midi-chlorians” co-authored by Dr. Lucas McGeorge. Four out of nine journals published it. “I firmly believe these stings [will] help educate a lot of young students… and early career researchers and save their money,” Ali Khan tells Motherboard. “Awareness is one way to fight this epidemic.” Plus, there’s no better way to get kids interested in science than by referencing the most popular comedy on television.